Midi skirt is one of my fav. pieces ever. I find it flattering and the length is just perfect. I have styled this skirt quite a few times on the blog here, here and here. I uploaded my first look book on YouTube today and I of course styled my fav. skirt in four more ways. I find filming look book fun and editing look books fun. That was such a fun video, love all the looks! 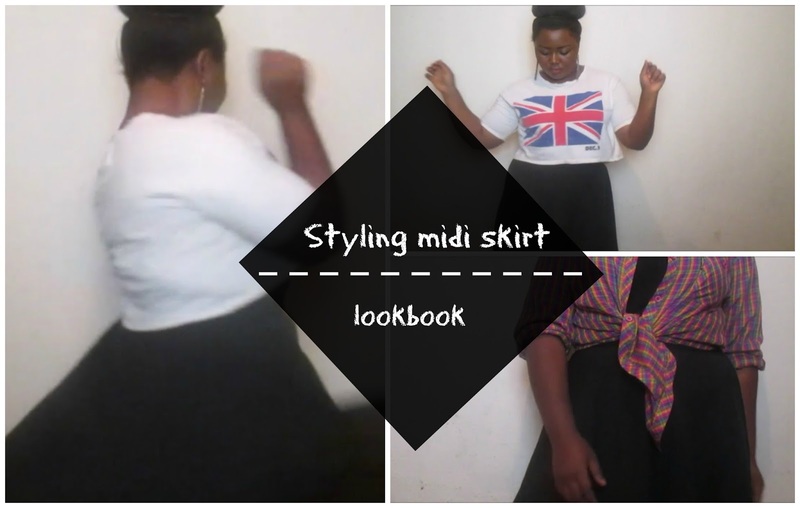 My fave was the UK crop top because I think it compliments the midi so well. Such great style! Great tips and look. Greetings!